It could be standard in Russia. It is in Norway, and probably also the rest of Scandinavia. why can I not start a new topic post? I can reply to a thread but not start my own? where is the manual to this site, lol. It's normal for forums to require a minimum post count or time since registration before allowing the user to create thread or post images. It's a counter-spam measurement. Also, you should take it in the appropriate section of the forum, not in a random thread. sorry will post my question in there. Last edited by Btdew; 03-05-2013 at 02:26 PM. Looks good! Just a little lower would do good! 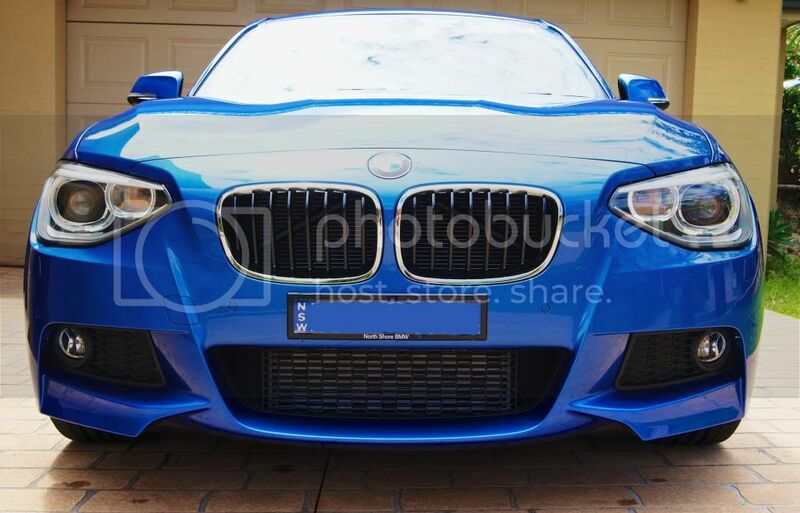 What brand is the front lip from? CF? Yes please, tell us about the lip! More pictures wouldn't hurt either! He mentioned the wheels earlier in the thread. My guess is it's a Japanese 3D Design front lip. I actually got it from a local group buy. I think it is from Taiwan and I paid about US$450 for it. It will probably pop up in Ebay soon. So that's not the 3D Design lip then, that one is quoted at roughly 1400â‚¬ by a Dutch vendor.. I dont expect CF to be cheap but thats not worth my spending. Last edited by McLarenF1GTR; 02-04-2013 at 02:05 AM. 120D Urban, was mine from Nov 2011 to Sep 2012. Next ? F22 ? F36? why did you go for the F30 ? Why did you quote four pictures to ask that? After the 120D i bought the new Golf VII Highline 150 and i have already sold it. (2 months after !). So back to rear wheel drive and 3 series. I had hesitate for 120D M Sport. Was the Golf 7 really that bad? Some cracking photos in this thread, I was going to post one of my new 118i, but it was a quick happy-snap from behind the dealership, so I think I'll up my game a bit before sharing!